*After nearly three decades of broadcasting from Chicago, Oprah Winfrey has become finally become a member of the Illinois Broadcasters Association’s Hall of Fame. Film critic Roger Ebert was among those who honored the daytime queen Tuesday at a downtown Chicago hotel, reports the AP. Association president and CEO Dennis Lyle calls Winfrey “the epitome of broadcasting excellence.” Ebert already is a member, along with late partner Gene Siskel. Winfrey came to Chicago in 1984 when she started hosting “A.M. Chicago” on WLS-TV. 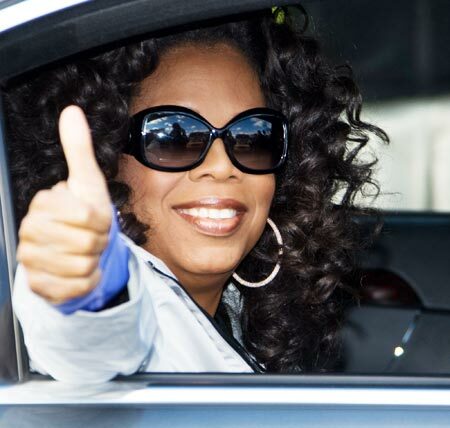 That show eventually became “The Oprah Winfrey Show,” which will end this month after 25 years. Other famous inductees include Paul Harvey, Hugh Downs and Charles Gibson. congrats but, my first thought was, yeah right…she bought the freakin’ hall of fame! !